Linux Shared Hosting is more secure and reliable operating system than Windows. Now Learn when you need for your website – Linux Hosting; it is when a website uses languages like PHP, PERL, WordPress and My SQL. 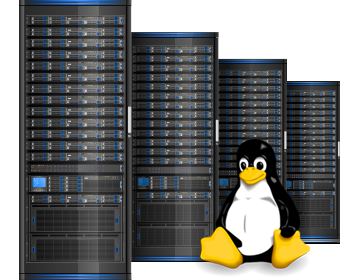 Our Linux Hosting packages are for people who demand their website reside on fast, reliable servers with the most stable operating system in the world. Web hosting is the act of renting space and bandwidth through a company so that you may publish your website online. You can either opt for free hosting that is usually supported with banners and pop-ups, or may opt to get paid web hosting, which gives you complete control over your site contents. When picking a website hosting plan, you need to have an idea of what you want to do with your website, plus factor in a bit of room for growth. Is your website large or are you hosting a large number of images and/or videos? If so, you need a package with a larger disk space allocation. Do you expect to receive high volumes of traffic to your website? If so, you need a package that gives you more bandwidth. Do you need CGI, PHP, and MYSQL functionalities? If so, select the plan that includes these features. Here are several advantages to website hosting over free hosting services, with the first being domain names. With website hosting, you have the ability to host your website at your domain name, whereas with free website hosting, you generally have a long website address under the hosting providers name (i.e. http://bagful.net/yourname/…). Often times, free hosting services require their advertising to remain on your website. With website hosting through DomainIt, you control the content on your website! Another big advantage of website hosting is the sizable increase in your disk space and bandwidth. With free hosting services, you typically have limited amounts of disk space and bandwidth. The larger amounts that come with your account allow you to hold more files and receive more visitors to your website. Yes. We provide you unlimited FTP access to your account 24 hours a day, 365 days a year, allowing you to set up, change or maintain your Web site at any time.